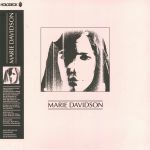 Review: Though now famed as a top-drawer live performer with a string of acclaimed albums to her name, there was a time when Marie Davidson's music was less widely appreciated. In fact, when this eponymous EP first appeared on cassette in 2013, she was pretty much unknown. As you'd expect, it's perhaps a little more lo-fi than some of her more recent work, but that's what makes the EP so appealing. Check, for example, the sleazy vocals, distant drum hits and cascading melodies of creepy opener "Ma Vie Sans Moi", the unsettling lead lines, ricocheting cymbal hits and powerful drone bassline of "L'unique" and the dystopian, high-tempo minimal wave-goes-bleep techno trip that is "Le Lieu Ou Vous Voulez Vous Rendre"; all three remain amongst Davidson's most arresting cuts to date. 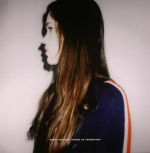 Review: Whatever Makes You Feel Safe is a collaboration between Canadian producer and singer Marie Davidson and Berlin based Ukrainian sound designer Invisible Church. They met in Montreal during Red Bull Music Academy festival and shared the idea of exploring the concept of feeling safe both on a personal level and as a part of society. 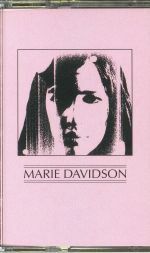 Quite different from what you'd usually associate with Davidson but still worthy of your attention all the same. Beginning on the A side with "Collage" featuring some chilling drone experiments over textural sound design and field recordings which allow Davidson's haunting vocals to carry the track further into the void. Sounds like a cross between OAKE and Lustmord. Next up "Never Release The Tension" delves further into pitch black territory on this contorted downbeat industrial thriller. Finally on the flip, we've got an epic 10 minutes of haunting esoterica in the form of "Ten Years" and features Theo Parrish on cymbals! 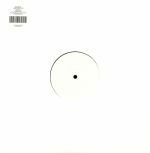 The label recommends it as for fans the late Mika Vainio, Black Rain, CTI, and the Bladerunner OST. Pretty on point, if we do say so ourselves!